The occasional chair, as the name suggests, is not an entirely essential home furnishing, but as English textile designer William Morris once said “If you want a golden rule that will fit everybody, this is it: have nothing in your houses that you do not know to be useful, or believe to be beautiful." And if there’s one piece that can transform a living space from ordinary to outstanding, then it’s a beautiful armchair. Whatever the 'occasion'... whether it’s a sacred and sumptuous corner to thumb through the Sunday papers, or perhaps a convenient spot on which to throw your delicates after a hard day’s work, every home needs an occasional chair or two. Here’s a selection of Unique Home Stays showing how it’s done best. Phillimores is an intriguing blend of traditional and stylish. 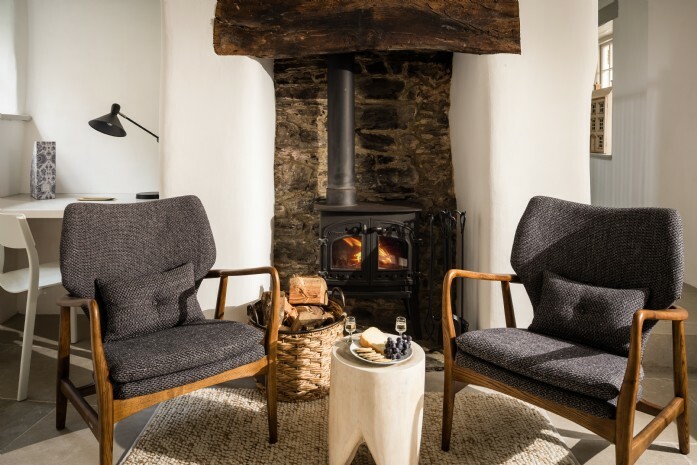 A cool, retro interior juxtaposes the traditional elements of this 17th century Devonshire cottage, perfectly exemplified in the entranceway where a pair of Scandi chairs makes a handsome accompaniment to the inglenook fire. Upholstered in a charcoal grey linen fabric, these slinky birchwood armchairs harmonise with the neutral colour scheme in the most elegant fashion. Understated Georgian elegance meets coastal cool at Zenith in Cornwall. 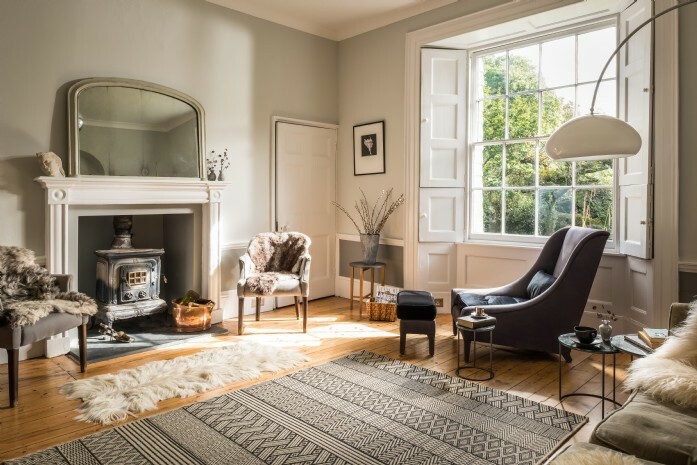 The period family home holds an air of Austenesque romance, with interiors radiating a more eclectic, laidback vibe. An original 50´s marble based floor lamp is a piece which owners Emma and Paul bought whilst living in London. Having followed them around various city apartments, it's found its forever home arching over the gorgeous Nubuck and velvet chair in the reading room. Sojourn is a thatched country cottage dressed to the nines! 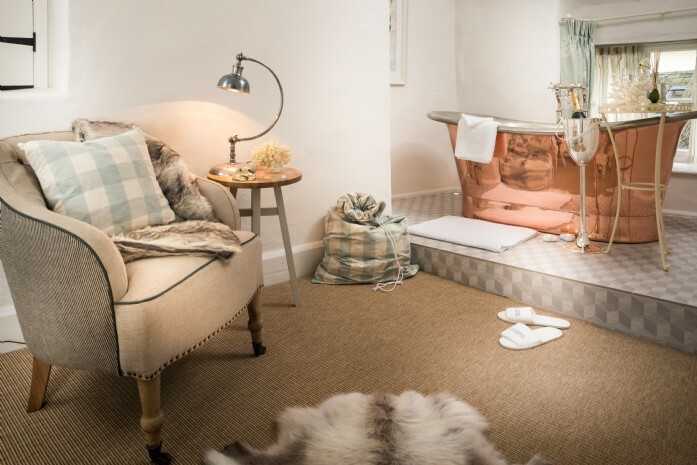 After a day of cavorting within the wilderness of Dartmoor’s honey-tinged moorland, couples will love to spend evenings in the at-home spa room where this soft-as-clouds armchair will be the perfect place to fling delicates before hopping into the deep copper bath tub. When the owners first set eyes on this country manor house in Somerset, although crumbling from within, they met an irresistible challenge. Following a mammoth renovation project, Gatsby was crowned winner of the Restoration of a Georgian Country House award. The owners' meticulousness can be seen in pieces such as the one-off armchairs and settees that have been thoughtfully picked or re-upholstered to sublimely tie-in with the exquisite designer curtains and floor rugs. Check out that bronze and blue pom pom trim! 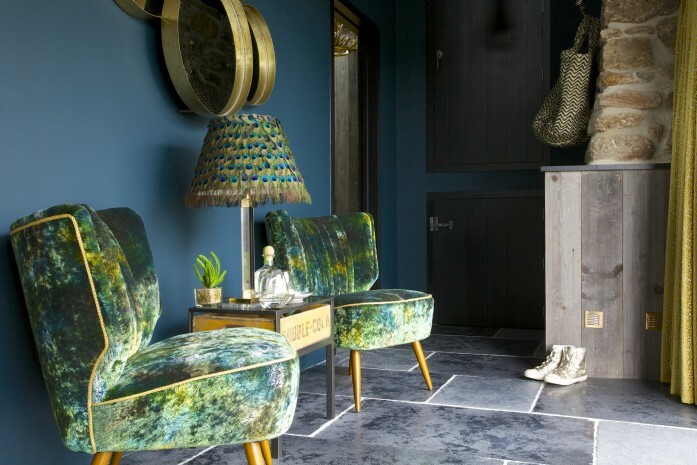 The iridescent plumage of this Dartmoor cottage's namesake was the influence for much of the striking interiorscape and chosen colourway, as seen in this pair of gold and green velvet occasional chairs. Positioned either side of a peacock feather lamp and bubble effect mirror wall art, the stylish and symmetrical design in Peacock Blue's gallery entrance makes an unforgettable first impression to any visitor. When there's an occasional chair as stylish as this in the bathroom, you know you're onto something good. Caspian Ranch shows how a circular woven seat can add a Scandi edge to a sleek, minimal space. 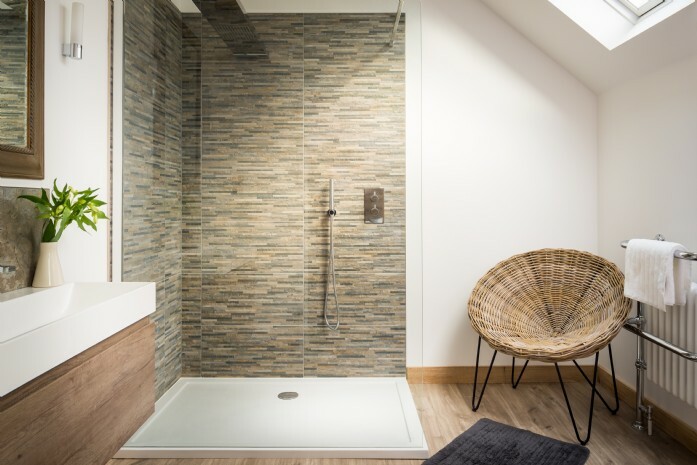 The contemporary country shower room also features a double sink and huge walk-in shower with enough space for two, guaranteeing a steamy affair..! With its wisteria clad façade, the main sitting room at Burdock Fox in Castle Combe needed to make a strong first impression for guests entering through the front door. 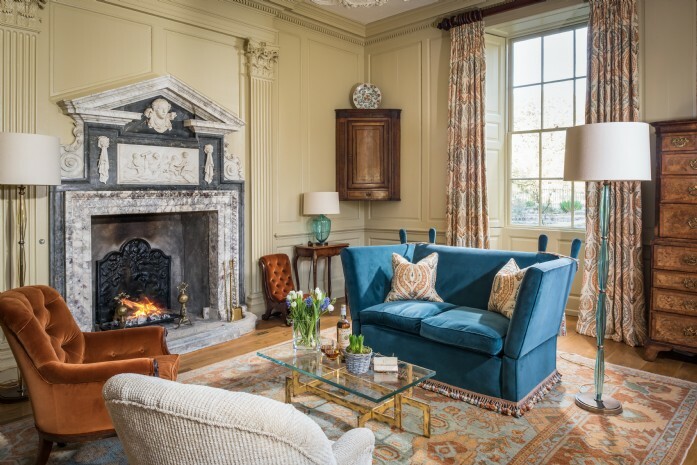 Interior designer Verity Coleman used Emily Bond's Geese linen fabric (a favourite of the owner) on this set of wingback chairs to stunning effect. 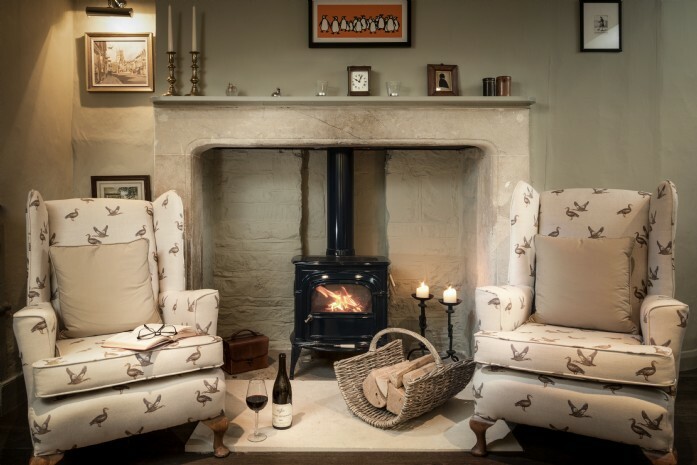 Crying out for a roaring fire and bottle of red, this little scene is the epitome of country luxe. Set within Exmoor's rugged landscape sits this dashingly handsome homestay which offers guests a slice of idyllic country life in rural Somerset. 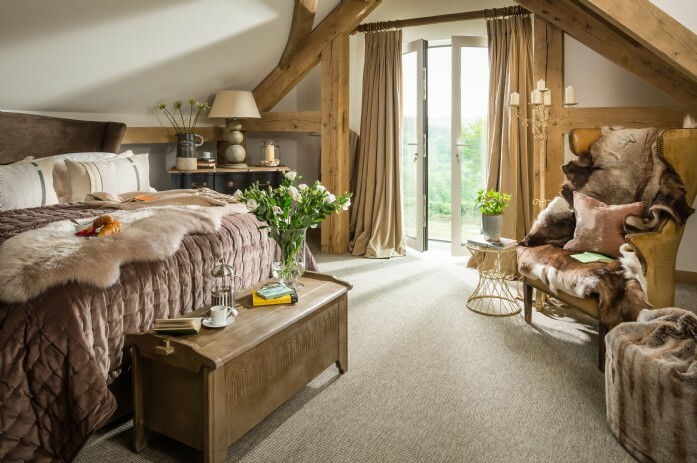 At the foot of the master bed, a tall battered leather armchair has been adorned with an animal hide and finished with a taupe velvet cushion, showing a modern rustic take on the traditional bedroom occasional chair.